A variety of issues and challenges have risen to the top this year in Adventism, and the diverse collection of books published in 2018 reflect that tension. 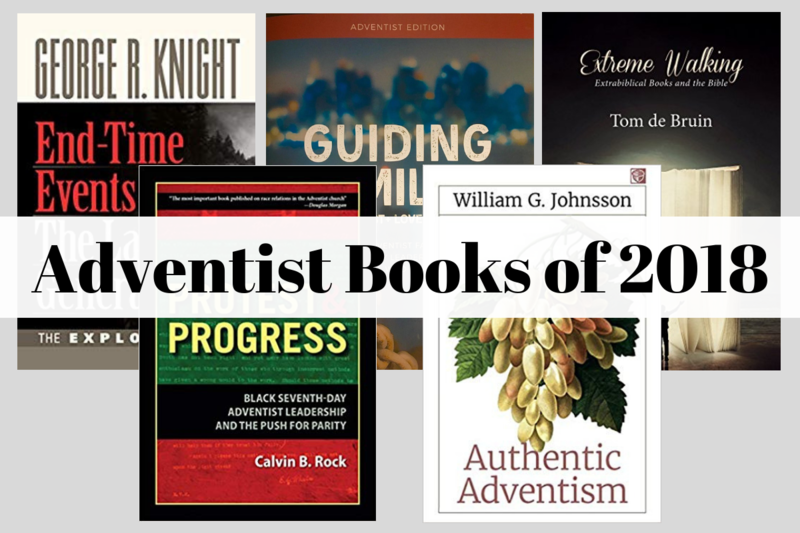 From three titles on Last Generation Theology, to a guide for families with LGBT+ loved ones, from books discussing racism and social justice, to a look at what it means to be an “authentic” Adventist, here we round up 10 books that were published in 2018. This 71-page booklet from the North American Division “provides the most compassionate response to LGBT+ Adventists ever published by the denomination while still maintaining the church’s position” wrote Dave Ferguson, director of Church Relations for Seventh-day Adventist Kinship International, in his review. The booklet, which is free from Advent Source, offers common questions and appropriate responses, principles and guidelines for healthy dialogue, and a glossary of LGBT+ terms. Ray McAllister is the first totally blind person to earn a doctorate in Hebrew Bible, and won the National Federation of the Blind’s Jacob Bolotin Award — considered by many as the Nobel Prize in blindness — for his work on making biblical languages fully accessible to the blind. In this memoir, he chronicles his journey toward realizing his dreams. “Besides the facts of Ray's unusual adventures, which he tells with a great deal of honesty and openness, he concludes each chapter with a poem. Ray depicts his journey not only by telling stories, he also gives the reader a deep and generous insight into his emotional and Christian-spiritual life during his experiences, making this book a practical guide for how to find richness and enjoyment in life despite seemingly insurmountable hindrances,” writes the publisher (Flanko Press). Read selected excerpts of McAllister’s book for free here. Read a 2017 Spectrum interview with Ray McAllister here. Tell us a book you read this year (whether published in 2018 or before) that made an impact on your life. Or, what’s a long-time favorite that you keep coming back to? Is there an author you’d like us to interview or a book you want us to review in 2019? Let us know in the comments below. If you appreciate the books we highlight throughout the year, please consider giving to support Spectrum. As a non-profit news organization, every gift helps us provide you with the content you value. Images courtesy of the respective publishers.